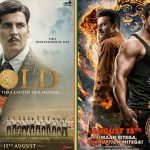 Gold 1st Day Box Office Collection, Becomes Akshay Kumar's Biggest Opener! Gold 1st Day Box Office Collection, Becomes Akshay Kumar’s Biggest Opener! Superstar Akshay Kumar is once again back with a film based on true incidents, Gold, which is about India’s first Olympic gold medal historic win in hockey as a free nation at 1948 London Olympic. 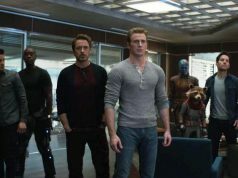 This sports drama is one of the most-anticipated Hindi movies of the year, was released on Wednesday amid the huge excitement of fans. 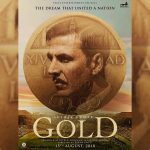 Directed by Reema Kagti, Gold has got succeed to hit the target right and getting overall positive remarks from the critics. As per reviews, it has a solid content backed by a strong cast and proficient direction. The audience has also liked the movie, as a result, it has gained a positive word of mouth across the country. 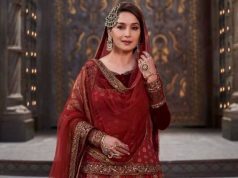 On the opening day, Excel Entertainment’s production took a bumper start with 50-55% of occupancy for the morning shows despite having John Abraham’s Satyameva Jayate in parallel. 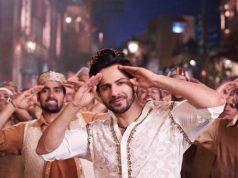 Over the evening & night shows, the movie witnessed a healthy growth in multiplexes and registered the business of 25.25 crores from 3050 screens nationwide. With such a massive start, Gold has become the third highest opener of the year so far in Bollywood after Sanju (34.75 crores) & Race 3 (29.17 crores). It has also emerged the 19th highest opener of all time in Hindi cinema and biggest opener of Akshay Kumar’s career by dominating the record of 2015’s Singh Is Bliing (20.67 crores). Independence Day’s holiday has resulted in a big bonus for Gold and now as per the current trend, it is expected to remain strong throughout its 5-days extended weekend.